18 carat gold (kt) white gold: 5.50 grams (gr). 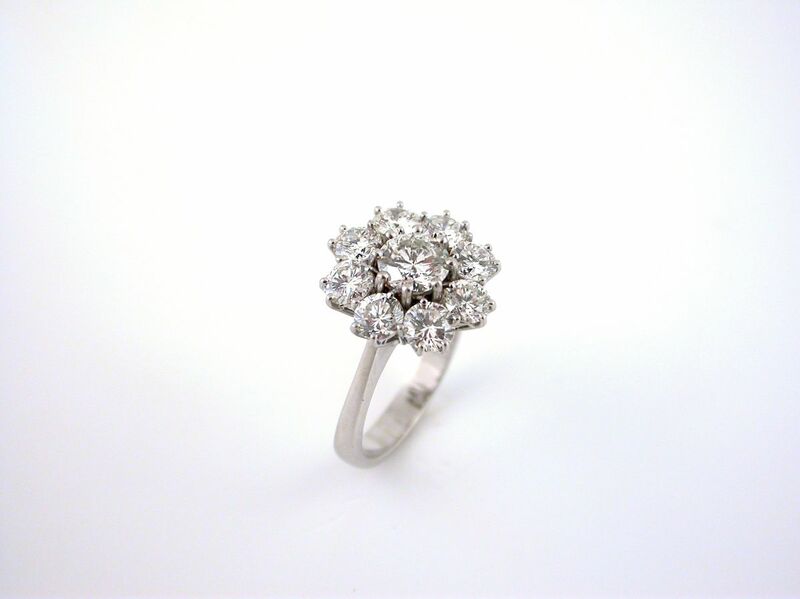 Diamonds brilliant cut: total weight 0.90 carat (ct) (H colour S1 clarity). 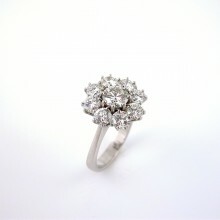 8 diamonds brilliant cut: total weight 2.24 carat (ct) (H colour Vs clarity). Size: 6 3/4 inches (Usa) | 14 mm (Italy). Codex: Tpmss.